14kt yellow gold Claddagh pendant dangles from a 17in cable chain with spring ring clasp. 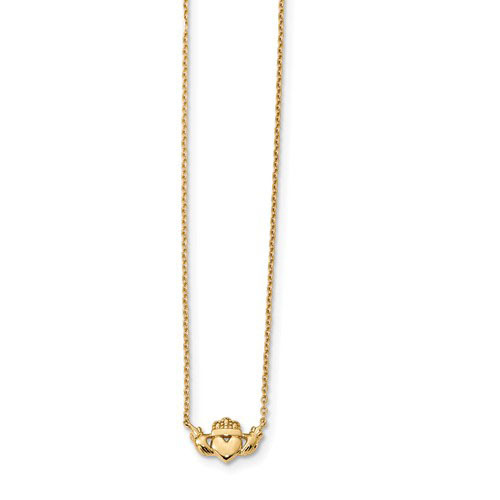 This petite and adorable Claddagh features the crown, heart and two hands. Pendant size: 1/2in x 3/8in. Chain width: 1.1mm. Weight: 2.0 grams. Made in Turkey.